Based in Stockholm, Nordea Bank AB is one of the largest and most successful financial institutions in Europe. It offers a wide range of banking services and financial products to millions of customers across Scandinavia, Russia and the Baltic region. From credit cards to online banking, Nordea provides its clients with various payment options. The Nordic bank is now serving a wider market that includes Poland, Singapore, and the US, establishing itself as one of the top-rated financial services groups in the world. It is also gaining popularity among gambling enthusiasts mainly from Sweden, Norway, Denmark, and Finland, for its reliability and safety, compared to smaller banks and other payment services providers. 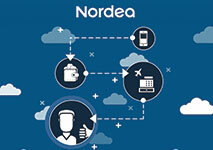 Nordea’s online banking service is now accepted by a large number of reputable web-based gambling operators that try to offer players a wider choice of payment options. There are, in fact, several ways Nordea can be used for online gambling. The bank issues MasterCard and Visa cards, which are widely accepted as a deposit method at most online casinos. However, its online banking service, or Netbank as it is often referred to, is rising in popularity as it is considered extremely secure for the implementation of the so-called Access Codes. Although the bank is present on the international market, as a casino payment method Netbank is offered mostly by gambling providers that operate in the Nordic countries. Netbank is the brand name of the online banking service Nordea provides its customers with. It is available to anyone who has a bank account at one of the financial institutions across the Nordea network. Netbank facilitates the online transfer of funds from the customers’ bank accounts to the accounts of various web-based vendors, including online casinos. When they register for a Netbank account, users receive from their bank individual Access Codes. The Access Code consists of a User ID and a password, which together identify the customer, and of a one-time security code, which identifies each payment. There is also a confirmation code, which functions like a digital signature and authorizes each transaction. While normally, the Access Code is generated by a card reader, players may also receive a physical card, where all codes are printed down, depending on the country they are based in. Usually, the physical cards have 80 codes and when users have used around 60 of them, they are provided with another card that will have new codes printed on it. Netbank payments are fast, free of charge and exceptionally secure – the use of one-time security codes ensures the transaction is 100% protected. Deposits to online casinos via Nordea’s online banking service are quite simple, despite the application of a complex security system. In order to top up their online casino balance, players need to choose Nordea or Netbank from the list of payment options at the Cashier section of the casino site. They will be redirected to the Netbank login page (their local bank’s website). They can log in using their Access Code or some other credentials, required by the system. Norwegian users, for instance, are asked to enter their 11-digit National ID Number, while Swedish users need to provide their ID number, plus a Response Code. Players then need to choose the deposit amount and check all transaction information. Using their confirmation code, they will authorize the payment and the transfer will be processed immediately. The funds will be in the casino balance within minutes, which means players can start playing for real money right away. Deposits via Nordea’s online banking service are free of charge. Unfortunately for gambling enthusiasts, Nordea does not allow withdrawals from web-based casinos via its Internet banking. Players who choose Netbank as a deposit method will need to use a bank transfer or another payment option if they need the funds moved to their Nordea bank account. Most credit cards issued by Nordea are MasterCard-branded, so they are accepted in all online casinos where you can see the MasterCard logo. To use this payment option, you need to select MasterCard or Credit/Debit Cards as a deposit method at the casino’s Cashier. Then, you need to enter the card information – card number and expiration date, as well as your full name (optional) and the 3-digit CVV (“Card Verification Value”) code. Once you confirm the transaction, the funds will instantly be transferred to your gambling balance. This is a rather convenient option when players cannot find an online casino that accepts Nordea Netbank service. As MasterCards are widely used by virtual players, you can find plenty of web-based casinos where you will be able to use your Nordea Credit. If you have Access Codes for your Netbank transactions, you can choose the PIN code for your Nordea Credit card. You can even choose a photo from your gallery that can be printed out on your card. 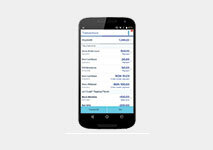 Nordea offers its customers to download its mobile application, available for both iOS and Android devices. The Netbank app allows users to make online payments conveniently on their mobile phones, to check their bank account balance or compare different currencies. The app also gives gambling enthusiasts from the Scandinavian countries the opportunity to fund their casino accounts through their smartphones. Of course, this is possible only with the use of Access codes, available to all Nordea bank account holders. If you are using the mobile application of Nordea, you will have constant access to your account and your money. This will allow you to make payments, check on your balance, manage your cards and all of this with a few simple taps on your smart device. Thanks to the mobile app of Nordea, you will be able to keep a track of your funds, your loans and savings even when you are on the run. There is also a new feature that ensures a high level of security while you are using the Nordea app. Some mobile users can log into their Nordea account using their fingertip. This option can be enabled only after you have logged with your mobile BankID at least once. As it was mentioned earlier, virtual players can use their Nordea Credit for uploading funds to their gaming accounts at web-based casinos. If you are using the mobile application of Nordea, you will also be able to manage your cards and the payments that are charged on them. One of the biggest advantages of Nordea is the Access Codes it utilizes to ensure a higher level of security. Many customers, however, find it inconvenient to rely on a card reader or a physical card to get these codes. Thankfully, there is a Nordea Code App which will provide you with access to codes. This way you will be able to identify yourself and complete any transaction you are initiating via Nordea. The Nordea Codes App is extremely convenient as you will not have to carry a card with you and you will never run out of codes. The mobile app is supported by Android, iOS and Windows devices. You can find it on the official website of Nordea where you will be able to download it on your portable device. Using the online banking service provided by Nordea for deposits into online casinos is exceptionally secure. Netbank is regarded by players as one of the safest payment options because its Access Codes provide high-level protection – each one-time security code is generated separately and can be used for only one payment. In addition, all transactions through the Netbank system are SSL-encrypted, so all personal and banking data remains private between the bank and the user. For further protection, Netbank sessions are closed if the user was inactive for over 15 minutes. The company does ask its customers some personal information which is disclosed only in instances when it will help with providing a better service. You can be sure that if you use Nordea’s payment solutions, your money and sensitive information are always properly protected. If you are using the Nordea Code App, you should make sure that you are the only one who knows the PIN code that you are using to log into the app. Even if anyone else ever has access to your mobile device there is nothing to worry about. If you or someone else enters an incorrect PIN code more than 5 times in a row, the mobile app will be locked for a period of 24 hours. Nordea Credit provides Product Safety Insurance which is a feature that ensures an additional security for consumers who pay for various purchases with their credit cards. Players who have opted for the Nordea Credit may have to pay certain processing fees, as it is with most credit and debit cards. If they carry out a payment in a foreign currency, they will be charged a 2% conversion fee per transaction. You have the chance to choose between €1,000 and €5,000 for their credit limit. 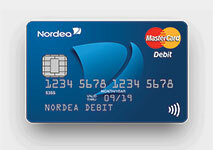 You can use Nordea Credit as a contactless card for purchases below €25. The annual percentage rate (APR) that have been calculated on a credit of €1,500, is estimated at 13.2% as of June 2018. This APR applies to Package Customers. There are no monthly or annual fees for Nordea Credit card holders. There is, however, an additional charge of €3, charged every month for the service of account management. There are no fees for deposits using Nordea’s online banking service, which is just one of the many perks of this payment method. Obviously, one of the greatest advantages of using this system is the security it offers. Cases of fraud and a stolen identity are practically impossible, as long as users do not reveal their Access Codes to other individuals. In addition to that, interactive players can feel secure even when they are using the mobile app of Nordea and this is due to the fact that it utilizes the same strict security system and it even allows you to log into your account via a fingerprint. Another benefit is the lack of processing fees and the fact that players who choose Netbank as a deposit method at their preferred casinos can use a familiar payment interface – their own online banking account. Nordea transfers are also instantaneous and players will not have to wait to make real-money bets at virtual casinos. This is definitely very beneficial for those who are eager to bet online and are looking for fast deposit solutions. Thanks to the dedicated mobile application of Nordea, players can make deposits via their smartphones or tablets. Both Android and iOS users can take advantage of the app and utilize it for fast and secure deposits at numerous online casinos that accept Netbanking. Since Nordea also issues MasterCard-branded cards, virtual players can use their Nordea Credit at virtual casinos when they want to top up their gaming balance. Just like other credit/debit cards, you will have to provide your card details when you are initiating a deposit via Nordea Credit. If you have downloaded the Nordea app on your portable device, you will also be able to open new and close your existing cards via the application. Despite the additional element of Access Codes, players will have no issues making deposits at online casinos via Netbank. It works just like any other instant banking solution and you would have no trouble transferring your funds to your gaming account. Netbank allows you to make deposits to the online casino of your choice by using your personal bank account. You can be sure that you are using the service of a banking institution that you trust completely. If you ever have some questions about your Nordea account, the Netbank service or the mobile application you are using on your smartphone or tablet, you can contact Nordea’s representatives. You will receive the answers you are looking for in no time. In addition to that, the website of Nordea is available in several languages which is a wonderful advantage for many potential members of the company. You can load Nordea’s official website in English, Danish, Finnish, Norwegian and Swedish. If you are utilizing the Nordea Code App, you can forget about carrying a card with you or ever running out of Access Codes. Thanks to the mobile app, you can always verify your identity and carry on with any transaction you would like to make via Netbank or your Nordea Credit. Nordea currently operates across more than 10 countries, but its online banking service Netbank is available as a casino deposit method to only residents of Norway, Sweden, Finland, and Denmark. This would mean that only virtual casinos which accept players from these countries will also allow payments via Nordea Netbank. Even if you come across a suitable web-based casino, there is still the chance that it has not included Netbank in its list of accepted payment solutions. What is more, Nordea customers will not have the chance to use Netbank for their withdrawals. This is quite inconvenient as casino players will have to look for alternative payment solutions when they are trying to cash out their winnings. Another disadvantageous side of utilizing Nordea is that players will have to enter their banking details when they are using this service. This can be quite risky if the online casino where you play does not have the best reputation. In addition to that, virtual players who use Nordea Credit for making deposits at interactive casinos will have to provide details for their card which can also be very dangerous if you share such sensitive information with an unreliable website. Nordea transfers are also instantaneous and can be carried out through a smartphone – at any time and place. Nordea and its various payment options, including the online banking service Netbank, are a convenient, fast and secure way for Scandinavian-based gamblers to top up their casino accounts. The popularity of the service is understandable, as this payment system allows for instant deposits, which are absolutely free of charge. It may be tricky to find a virtual casino that allows payments via Netbank, however, you can always resort to your Nordea Credit card. You can be sure that transfers via the services of Nordea are always incredibly fast and secure. This is due to the additional security measure of using Access Codes. And while some customers will have to use physical cards with codes printed on them, there is a mobile app that can easily solve this inconvenience for members of Nordea. There is always the nuisance of looking for an alternative method when it comes to withdrawals from online casinos. However, if you have the opportunity to use Netbank or your Nordea Credit for topping up you gaming balance, you will be able to make real-money bets as soon as you make a deposit. Despite the disadvantages that some online players might face, Nordea services are still pretty convenient payment solutions for numerous gambling aficionados.